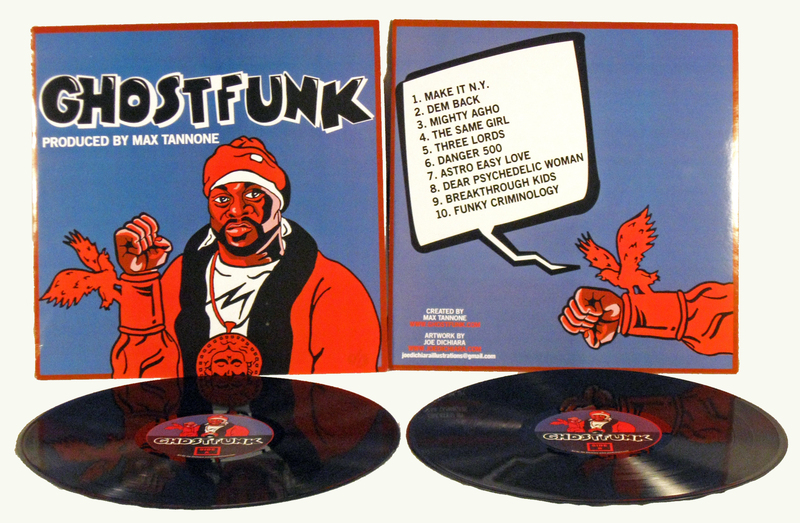 Hey everyone, back again to post an update on the “Ghostfunk” project I collaborated with DJ Max Tannone on back in July. There were recently a limited number of vinyl copies pressed, which I had the opportunity to design with Chicago distribution company Groove Distribution (GrooveDis). Here are some images of the layout and actual vinyls, they came out pretty awesome. Glad to of been apart of this project! Here’s some track samples of the Ghostface Killah/1970’s Afro-Funk mashup!